Fascinating information. I often wonder what happened to the descendants of famous/historic families and it’s usually impossible to find anything. Your site and the hard work it displays are just great! Thank you, Jenny. 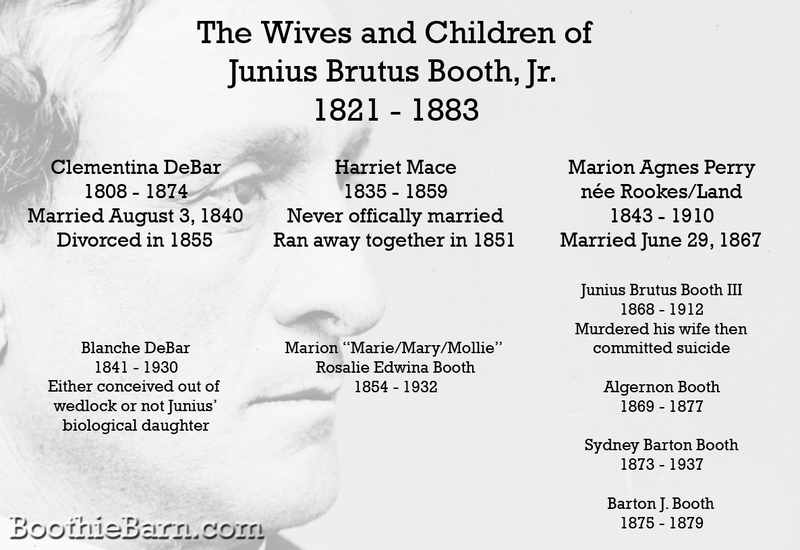 The stories of Junius’ kids, especially Marion and Junius III, are very interesting. I’m hoping to write something up about them in the future. I was thrilled to see the photographs of Junius III! He was married, and murdered, my distant ancestor cousin, Florence Noah. I have been to the room in which it occurred and visited the grave, which is unmarked and neglected. It’s an eerie place. According to the sexton’s notes, he was buried on top of Florence, a final insult to the poor lady. Thank you so much for your work and for sharing it! Thank you so much for commenting. I’m pretty sure I consulted your research and FindaGrave entry for Junius and Florence when doing some research on Junius III. If I ever get over to England, I very much want to visit the Booths’ old cinema building, the home in which they died, and their unmarked graves. It really is a sad, yet fascinating aspect of Booth family history. Keep in touch.